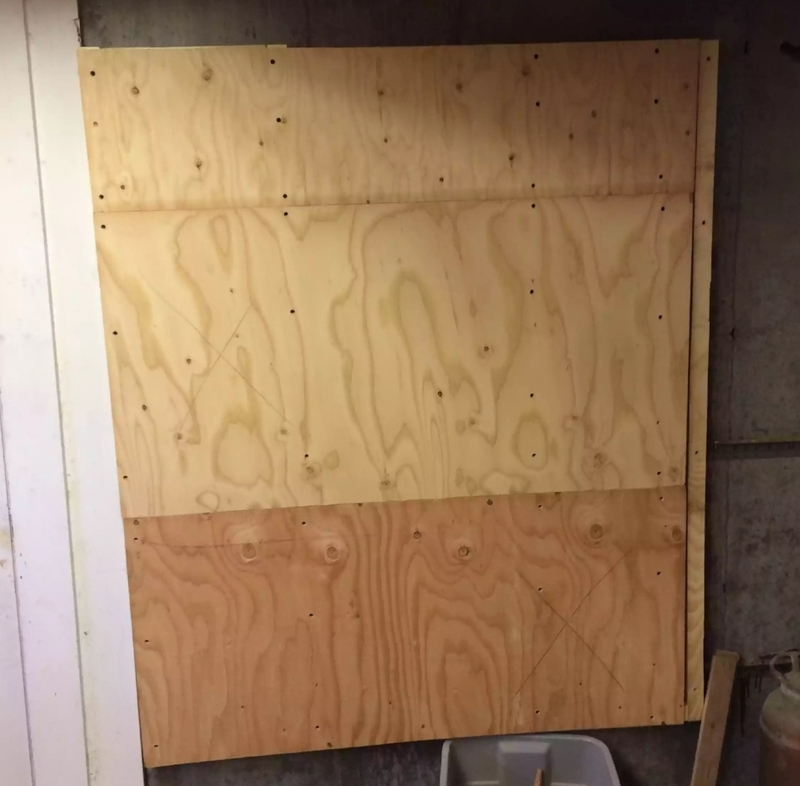 Added hardboard over the plywood to pretty it up and also added some trim to the perimeter of the panel. 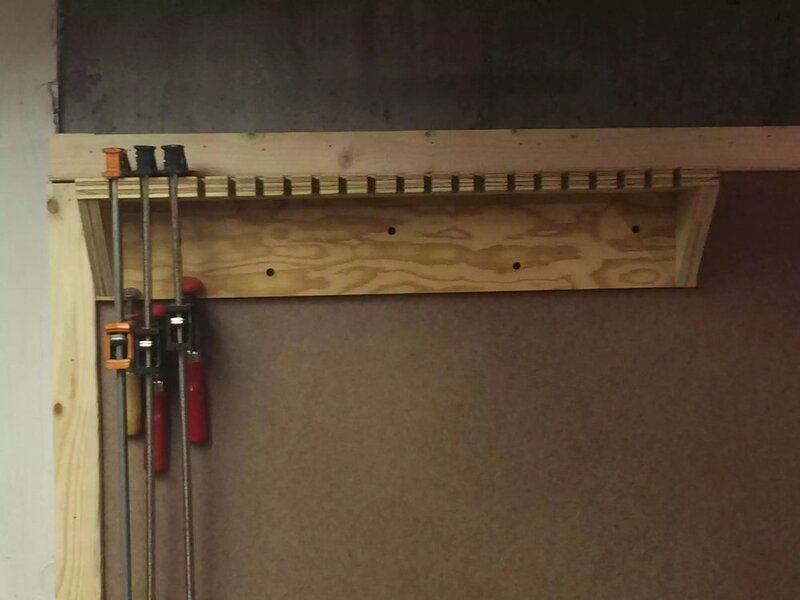 I made the panel larger than I need but I expect my clamp collection to expand and I might also hang a few other things on it to ..
Now I can start sorting out my clamps… Next project F clamp holders.. 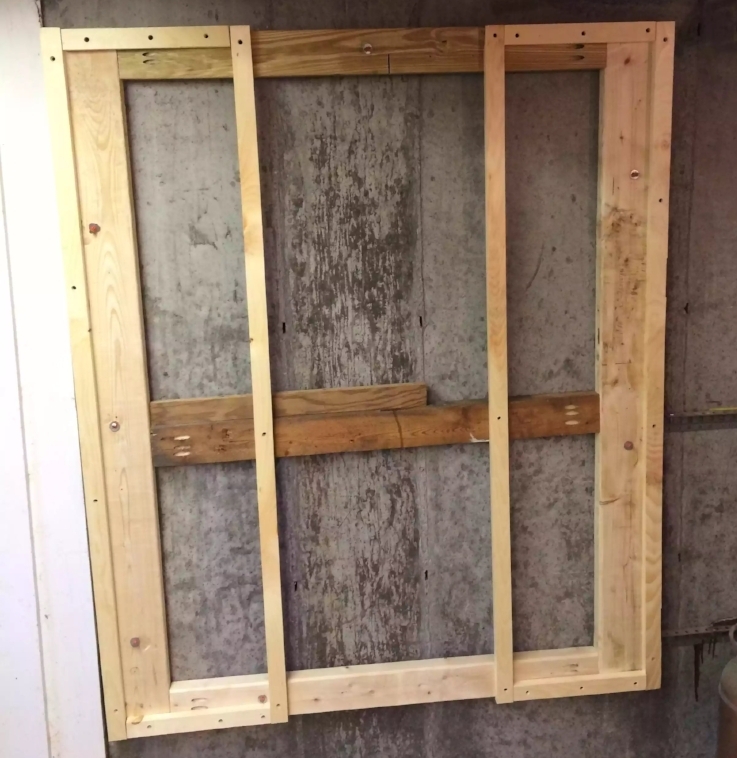 So now that I have built my wall mounted panel I can start with the projects that I can store my various clamps onto it..
It’s basically a L frame .. 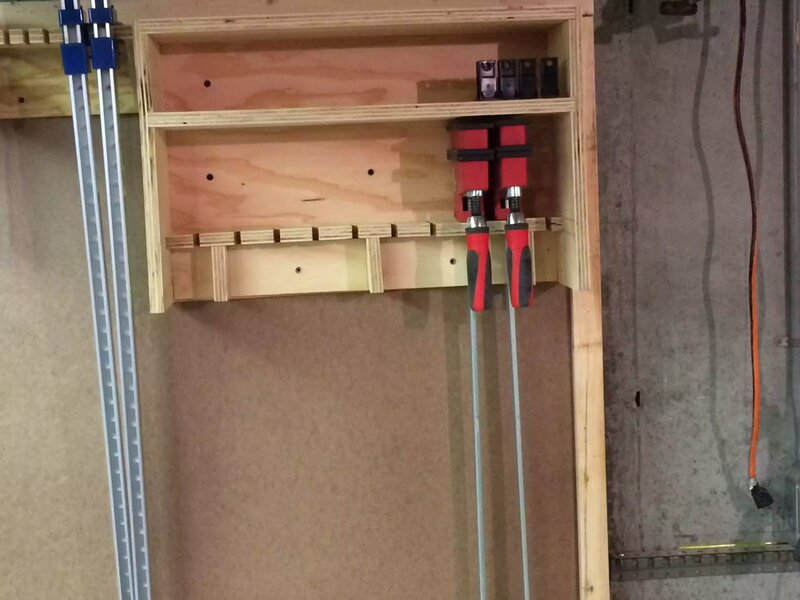 I invested in some 40” Bessey Clamps and they were still in the box because I had no where to put them .. I don’t imagine me owning too many of these clamps as they are so expensive but what I do own (2 right now ) I want to take really good care of these. So I built this little unit to contain them and some of there accessories that I might buy in the future .. The dimensions is 24” wide x 6” deep x 15” high..
It’s made from some leftover 3/4” sanded plywood they I had left around from my drill holder unit ..
It’s basically a left & right sides with a rabbited top and 1 through dado and 1 stopped dado in each side.. 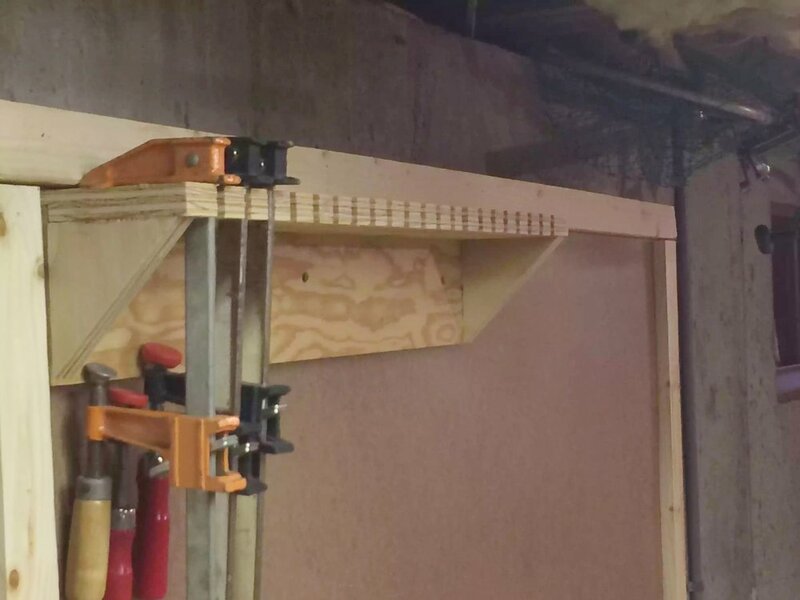 I made the fingers out 3/4” plywood and placed ( i used a 3/8” drill bit and then a hand saw to cut the fingers out)a 3” wide solid support under the fingers to re-in force and then placed 3 little 2×3 supports under the clamp resting shelf to give it some rigidity .. There great clamps especially on wide board glue ups.. I’ll get some smaller ones I don’t think I’ll need any longer ones than the 40”..